Comfy to wear and easy to make slippers! Ten sizes are included in this pattern from infant to adult. 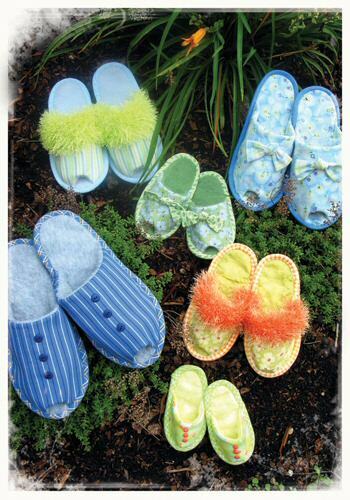 Lovely in cottons, flannels, polar fleece or wool and for a warmer option, line the slippers with furry felt.